1. 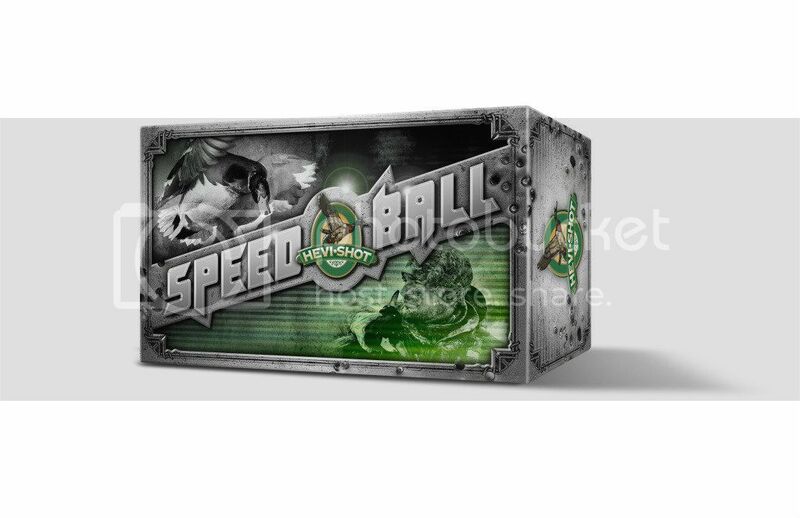 Speed Ball? ? an elastomeric ball in the base of the wad that accelerates pellets without boosting chamber pressures (patent pending). 2. MV? pellet that sits in the base of the shell ? 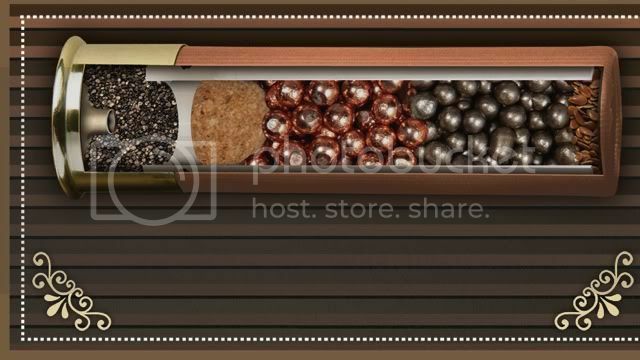 copper-clad, steel-core pellets that are Heavier Than Steel? but with a soft, dense outer copper layer fuzed to the steel, metallurgically. This gives us about 22 times the copper thickness of copper-plated lead or steel; you just can't get this kind of copper thickness without the proprietary technology we're using. The copper raises the density of the pellet. Patent pending. Copper plating puts a copper coating on the pellet that is roughly 1/6 of the thickness of a sheet of paper. 3. HEVI-Shot layer on top. 6 existing patents. So we use the layer technology of HEVI-Metal, the density of Heavier Than Lead? and Heavier Than Steel?, and the new Speed Ball? technology to get really fast speeds safely. Higher pellet counts in the 30-inch circle than you get with HEVI-Shot. Nearly matches the lethal energy of HEVI-Shot, pellet size for pellet size, out to 60 yards (but far exceeds the energy of anything else). Cheaper than HEVI-Shot, more than $1/shell cheaper. The product will also come in 12-ga., 3.5", 1.5 oz, 1650 fps rounds in BB, 1, 3, and 5.